Have you ever stopped to think about what is in your gas tank? 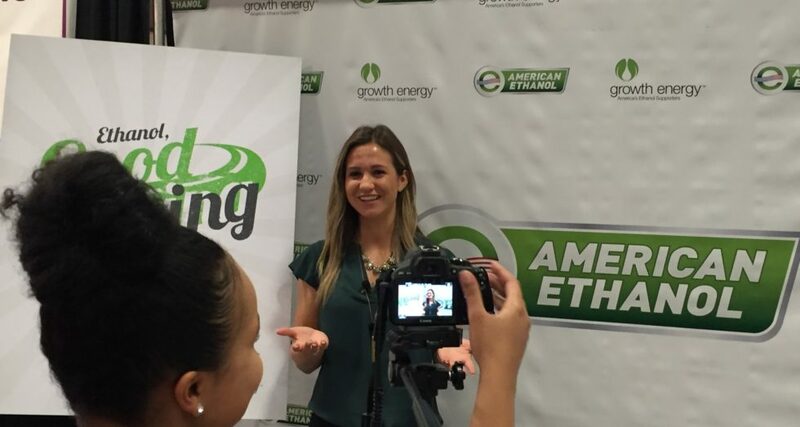 Last week I learned more about ethanol while working with Carolina PR and shooting a video for Growth Energy. Did you know? Ethanol can reduce greenhouse gas emissions by as much as 86 percent, and this percentage continues to increase with ongoing innovations in advanced biofuels. Global ethanol production and use is estimated to reduce greenhouse gas emissions by 110 million metric tons every year – the equivalent of taking nearly 20 million vehicles off the road each year. Using E15 is an easy, convenient way drivers can help safe guard the environment. E15 is cost efficient which is something everyone can support! Want to see more of the Clairemont Team’s fun during the week? Check out our weekly photo posts here. ← Go On. Be Cheesy.